The NFL faces several problems. The anti-American anthem protests are just the latest issue on a long list of issues. But the NFL just got hit with another problem it never envisioned. Commissioner Roger Goodell has presided over a shaky era of the NFL. On his watch, the league faced major scrutiny on the concussion issue. The problem of head trauma led to the NFL setting cases with former players for $500 million. The league suffered a rash of high profile off-the-field crimes from players. The ugliest incidents involved domestic violence. The NFL’s mishandling of the Ray Rice case greatly damaged the league’s reputation. Also, a two-game stint with replacement referees sparked outrage about the league’s poor officiating. But perhaps the worst scandal the NFL ever faced is the anti-American anthem protests. Free agent quarterback Colin Kaepernick began his protest by refusing to stand for the national anthem. The protest coincided with his sharp decline as a player. He soon found himself out of a job. But the left came to the rescue. The mainstream media and activist groups labeled Kaepernick a civil rights hero. The protest controversy even caused a member of the NAACP to call for the removal of “The Star-Spangled Banner” as the national anthem. He received many awards, and became the face of a controversial Nike campaign. Millions of patriotic fans pushed back against the protests. Television ratings continued to slide. 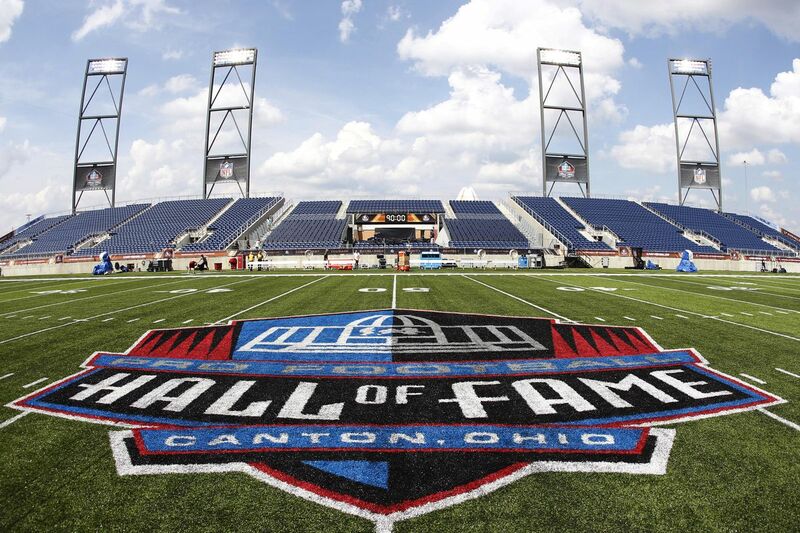 The NFL’s annual Hall of Fame game recently experienced its worst television ratings ever. For the first time in ages, the NFL saw a two-year decline in popularity. People wrote off the drop in 2016 as public interest in the general election. But the fall continued in 2017, and now into 2018. The league has a problem. However, Commissioner Goodell has dragged his feet. After two years of of decreased viewership, Goodell decided to move. He changed the anthem policy. Players were required to stand for the anthem, or remain in the locker room. But Goodell backed down after mild pushback from the players. The protest intensity dipped, but they continue to this day. And viewership is still trending in the wrong direction. On the heels of the anthem protests, the NFL now faces a potential boycott. Members of the Hall of Fame threaten to boycott future ceremonies if the inductees do not receive a salary and health benefits. The irony of this is the NFL Players Association is biting the hand that feeds it with the protests. The owners and the players will soon negotiate a new collective bargaining agreement. But the protests are hurting the league’s bottom line. The players don’t seem to grasp their actions are shrinking the pie. If the league is less robust, the owners are less likely to negotiate with current and past players. If the Hall of Fame players want a good deal, they should be making sure the league is as healthy as possible.